With colder months approaching it's important to understand that drastic temperature fluctuations from the changing of seasons will cause various components in your garage to expand and contract. While garage springs are most susceptible to breaking due to these fluctuations, there are other components in your garage that are vulnerable to the cold as well. Here, we want to lay out a few preliminary measures you can take to make sure that your garage is best prepared for the colder weather months ahead. One of the biggest things for you can do to keep the prepare your garage for winter is to install insulation in the walls of your garage. 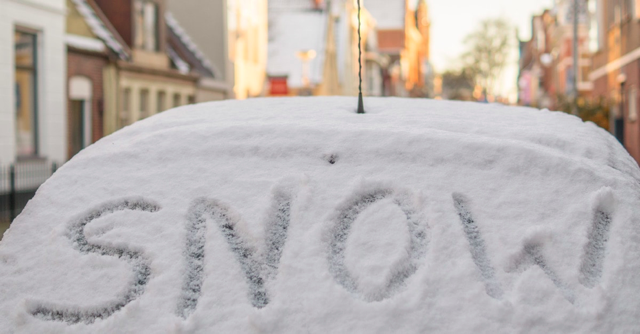 It's the easiest big impact thing you can do to keep the cold out of your garage. We've found this great article on the ins and outs of installing garage insulation. Depending on the level of insulation you want in your garage, you should consider upgrading to an insulated garage door if you're just using the standard manufacturers aluminum garage door. Cold and heat can both pass through those aluminum doors fairly easily. There are even guides available to insulate your garage door yourself. When preparing your garage for winter, the more insulation you have, the better. In a previous post, we discussed the importance of having durable weatherstripping to help prevent damage from severe weather. Preparing for winter is no different. Check the weather stripping not only on your garage door, but check all windows and any other points in your garage where weather stripping can be used. If you find any existing weather strips that are visibly worn or decayed, replace them. Having good durable weather stripping will make just that much more of a difference when making an effort to keep the cold out of your garage. When preparing your garage for weather changes the ultimate goal is temperature regulation. If you have followed all the steps above then you've done a pretty good job at preparing for the colder winter weather and if you use your garage to primarily park your vehicles then that should be enough. However, if you're like some that use their garage as a workshop, you're going to want to not only moderate the cold that's getting in, but you'll want to create a comfortable environment to work on your projects. The best way to do this is to get a simple simple shot heater. Be sure to get one that will heat your entire work space. We always used one of these in our garage in the colder months and it's worth every penny. Aside from all of the steps we've mentioned, to prevent any possible damage to your garage door and opener, you'll want to bring out a garage door professional to double check your opener, hinges, rollers, and door for any potential vulnerabilities that could result in damage from cold weather fluctuations. At a bare minimum, lubricate all hinges, rollers, and your spring. This will provide a minimum level of protection for when winter comes into full swing. Following these steps is a sure way to prepare your garage for winter and provide a comfortable atmosphere in your garage through the colder months. If anything does happen to break, you can always count on us to repair any damage to your garage door or opener. Feel free to vist Rapid Garage Service or give us a call at (678) 866-1542 anytime! We'll be at the ready to help.